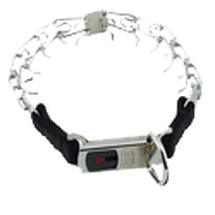 These Quick Release chrome-plated German Steel pinch collars are designed so pressure is spread evenly around your dog's neck. 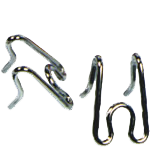 The ends of the links are also carefully rounded to prevent injury to your dog. Features a quick-release French Scissor snap for easy on and off. Beware of competitor's products that don't meet the stringent requirements of Whisperwerkes's Herm Sprenger manufacturered goods. Made of such high quality they are guaranteed for life! 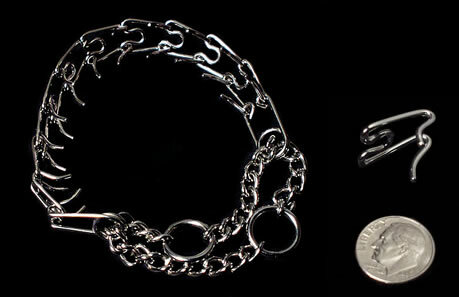 The Mini prong collar is designed for dogs weighing less than 5 pounds. 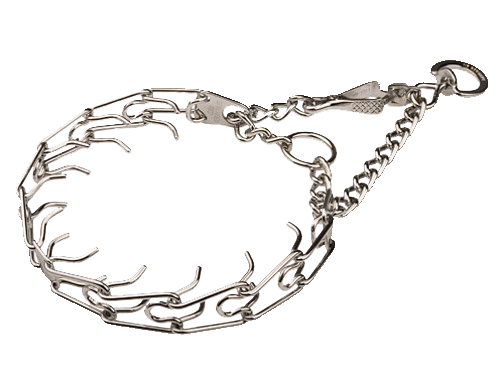 At the request of our customers, we are pleased to offer this Mini pinch collar for small breed dogs. 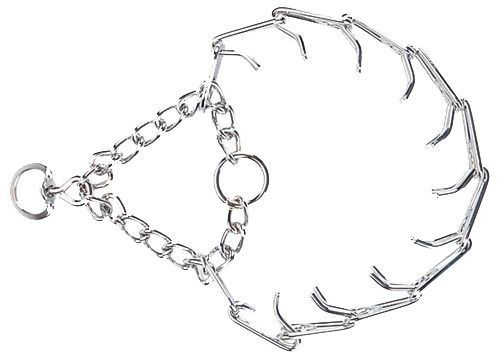 Made from strong stainless steel, this collar is durable yet the links are approx. 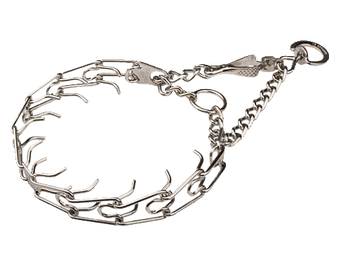 50% of the size of our normal German made small pinch collar. 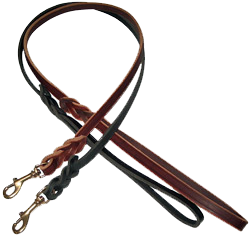 Each collar measures approx. 11" and comes with 10 removable links. 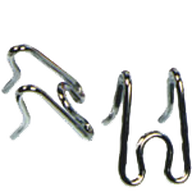 Each removable link measures approx. 1⁄2" wide x 3⁄4" long. 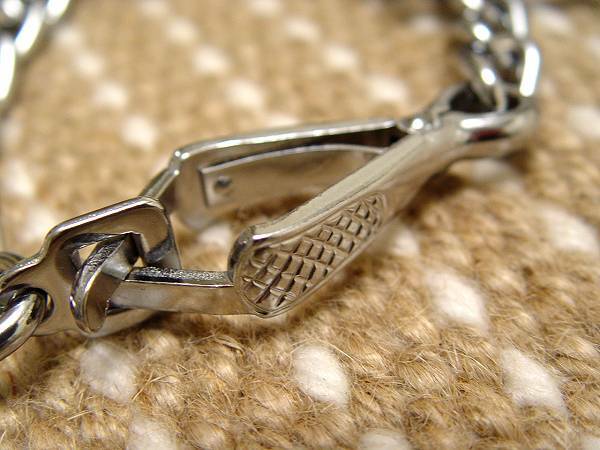 Additional links are also available to increase the neck size as needed. The Mini Pinch is also a great tool for fine corrections when putting those finishing touches on larger dogs (this collar is not intended for initial training or heavy corrections on large dogs).